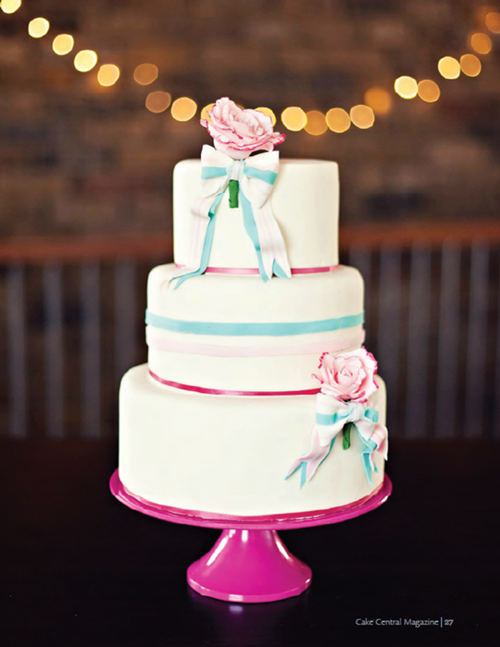 Featured on Cake Central magazine! At the very end of May, CakeCentral.com approached me to design a cake for cake central magazine. I wasn’t just thrilled, I was absolutely over the moon! I’ve lurked on CC for close to 3 years and have just recently started posting. I know the big names that have been featured in the magazine, and that post on the forums, so for me to be in the same magazine as them, well it was just too much :’) Having a bit of a Paltrow moment here. They gave me the deadline: ONE WEEK. Okay, so its a dummy cake meaning there’s no baking time involved. But there is designing, decorating and getting some ‘real’ photography done. I was already up to my neck in things to do that week but I also had no way of telling whether they’d ever approach me again, so I decided to throw caution and common sense to the wind and get my head down. The inspiration was teal and pink, and I was also sent a mood board to work with which included some pinkish flowers. I decided to do the vintage stained style roses. I have no idea what they are called in real life, but I’ve seen them at flower markets and florists. The cake was featured on two pages, a full shot and a couple of detail ones. I can’t release the original images yet, but these aren’t even my favourite! I really hope I do get requested to feature on the CakeCentral mag again. I love that I share the pages with a whole host of other amazing cake artists and having a brief that other decorators all interpret differently is so cool to see. 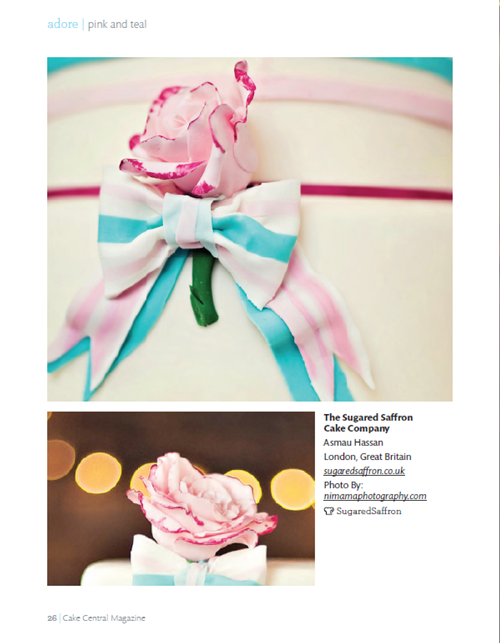 If you haven’t got your issue yet you can download it here http://cakecentralmagazine.com/. My cake is featured in the Volume 3 issue 5, but you can also download back copies too. Next PostThis is me avoiding a 'My first post on my new blog!' post.